The Inter-Mountain photo by Dan Geohagan The Delphia Rebekah Lodge No. 62 and the Randolph Lodge No. 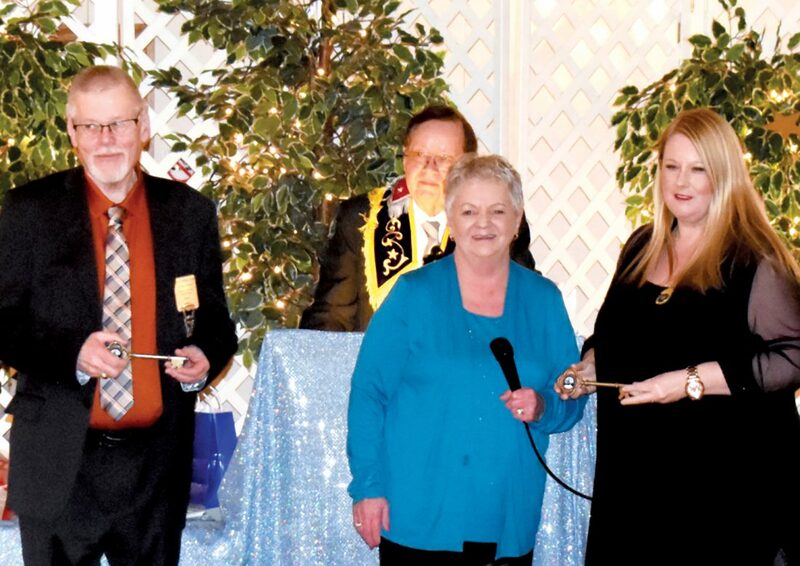 116 of the Independent Order of Odd Fellows presented their Annual Awards Saturday. Above, special guest Sovereign Grand Master of Alberta Brother Wesley Nelson and Patty Heighton, Vice President of the International Association of Rebekah Assemblies, receive keys to the city of Elkins from City Councilwoman Linda Vest, center. The annual Humanitarian Award was presented to Dave Whittaker, and the Good Samaritan Award to Frank Santmyer.